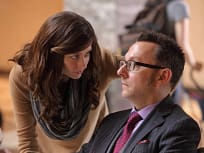 Finch and Reese make unexpected alliances when they have to save the Machine from Root and Decima on the season finale of Person of Interest. When the Machine is infected by a virus, can its numbers be trusted on Person of Interest. Reese and Finch must work fast to figure out the type of poison used in their latest investigation on Person of Interest. 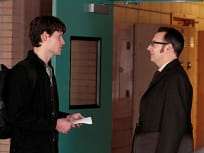 Finch goes undercover at a tech company to get information one of its executives while Beecher accuses a fellow detective of corruption on Person of Interest. 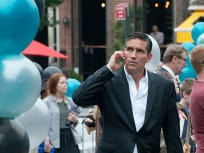 When an elderly gambler's number comes up, Reese and Finch head to Atlantic City on Person of Interest. While tracking a killer, Reese and Finch are forced to wait out a storm at the police station of a small coastal town on Person of Interest. 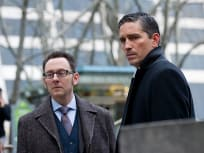 Reese and Finch find trouble when a government operative goes on the run on Person of Interest. The number of suspects overwhelms Reese and Finch when they try to save a maid's life on Person of Interest. A billionaire with high tech resources thwarts Reese and Finch's efforts to save him and may expose their work on Person of Interest. Reese is abducted by an old acquaintance who is looking to start an act of cyber terrorism on Person of Interest. Detective Fusco has to work on his own to help a POI who is a supermodel. 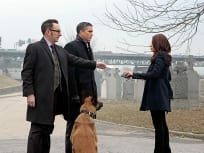 Carter tries to help Reese get away from Agent Donnelly on Person of Interest. 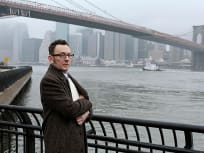 On Person of Interest, Finch works as a substitute teacher at a high school to protect a teen genius while Carter is on assignment with the FBI. As the FBI continues to close in, Reese realizes that his latest case is a sister of a soldier killed in action on Person of Interest. Reese and Finch need to figure out what to do with a taxi driver's passenger after his number pops up on Person of Interest. On Person of Interest how will Reese handle it when the numbers come up for both a husband and wife. On Person of Interest, when the machine gives them the number of a successful surgeon things get complicated for Reese and Finch. On Person of Interest, the machine sends Reese off to the suburbs. On Person of Interest, when Reese must protect a reporter he has to make sure she doesn't start investigating him. 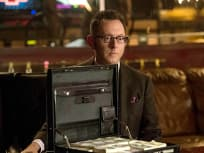 On Person of Interest when the machine gives them the name of a mob enforcer, Reese and Finch must decide whether to intervene or let karma take its course. Reese goes undercover as a body guard to protect a Brazilian diplomat's family on Person of Interest. A cold case puts Reese on a trail that may lead him to Finch and his kidnapper on Person of Interest. Finch is missing on the season two premiere of Person of Interest. So Reese enlists Detectives Carter and Fusco to get him back. Sure, John, come on over. Make yourself at home. Permalink: Sure, John, come on over. Make yourself at home. For a billionaire genius, you're lousy company. Permalink: For a billionaire genius, you're lousy company.